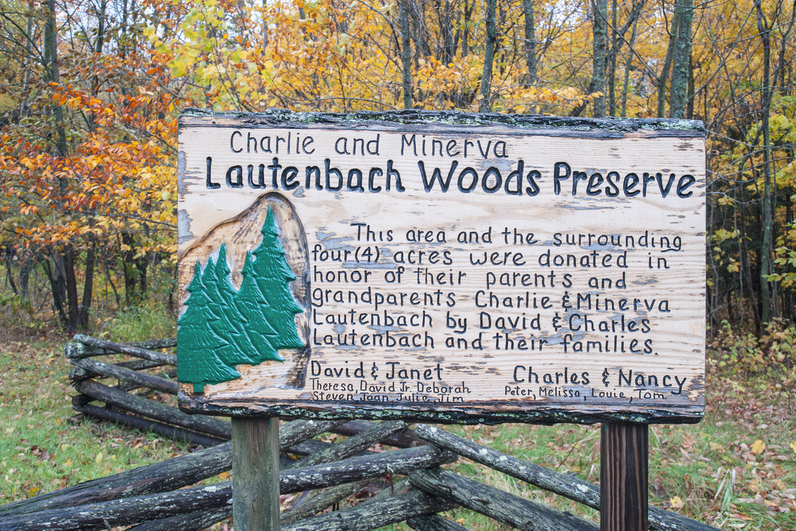 Located on the Niagara Escarpment, the Lautenbach Woods Nature Preserve presents visitors with a chance to see first-hand the fractures in the dolomite rock that underlies much of Door County. 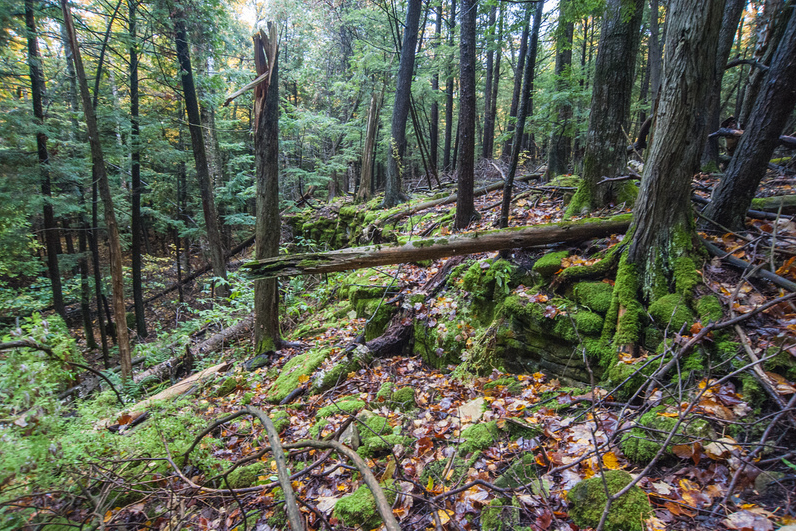 In the spring, when the ground thaws, water from higher elevations pours out the base of the escarpment on its way to Green Bay, as if someone’s pulled the plug on a drain. This water creates a vernal pond and a unique hardwood swamp on the far western portion of the preserve. The pond is reminiscent of the bayous of the south and contains enough water in spring that the Lautenbach children traversed it by rowboat. The pond is a favorite habitat for migrating waterfowl, salamanders and spring peepers. 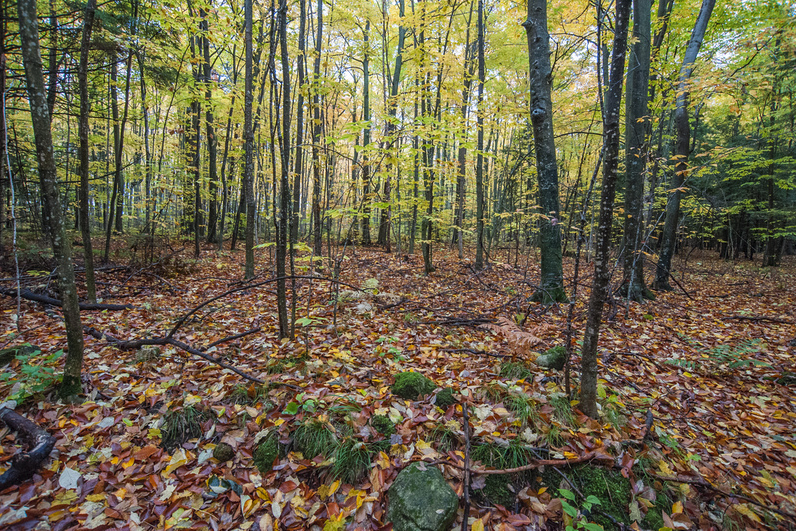 Although the pond recedes or disappears with warmer weather, high water marks on the hardwood trees are visible year-round. 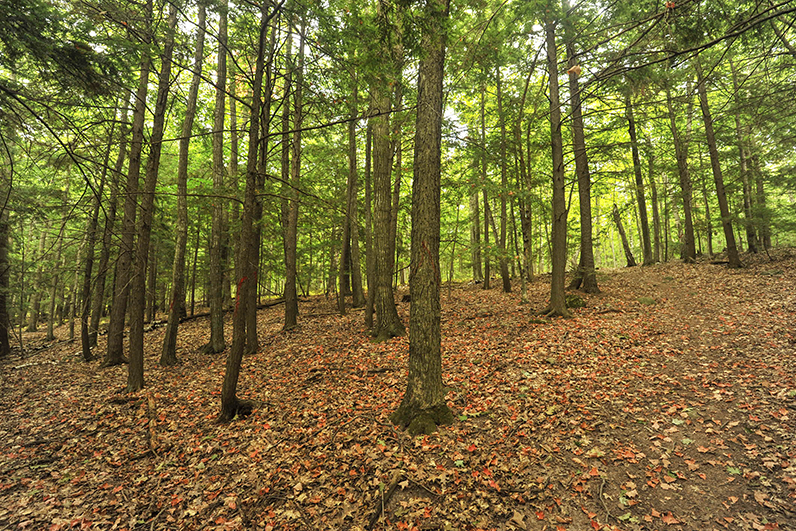 Tall pines, hemlocks and hardwoods located along the escarpment create a shaded oasis, even on the hottest days of summer. This refugium (climatically stable area) provides habitat for rare wildlife, including terrestrial land snails that have survived here since glaciers covered the region 10,000 years ago. 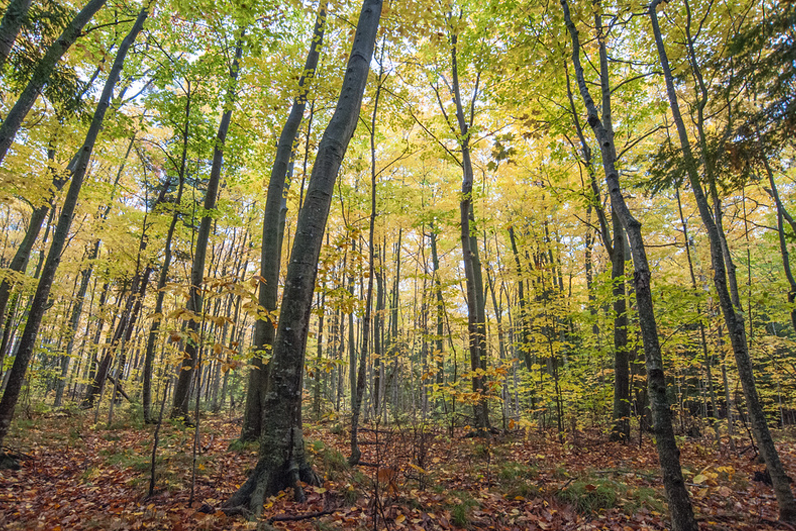 The hardwoods provide a dazzling display of color in fall, and the evergreens are a welcome sight for skiers and hikers throughout the winter. From Highway 42 about 5 miles south of Egg Harbor, turn west onto County G. Travel on County G for 0.9 miles. 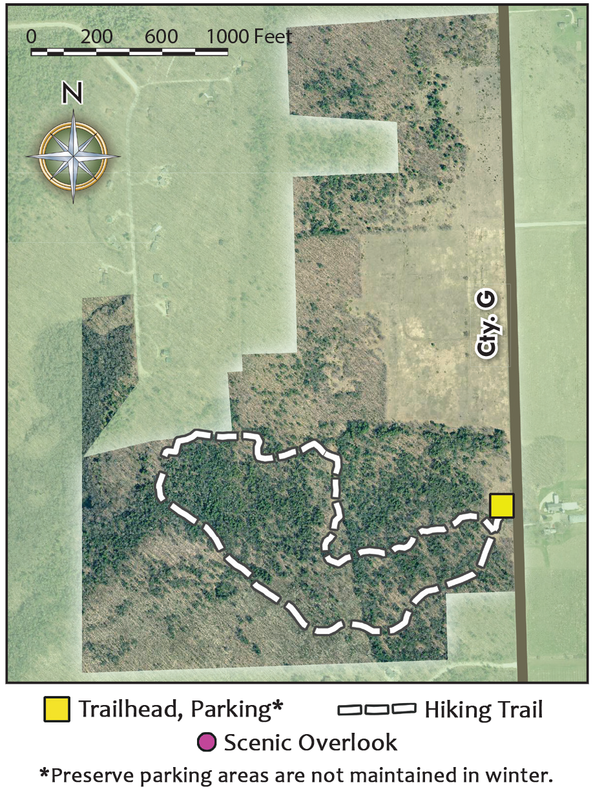 Preserve parking area and trailhead are on the left-hand side of the road at 6749 County G.